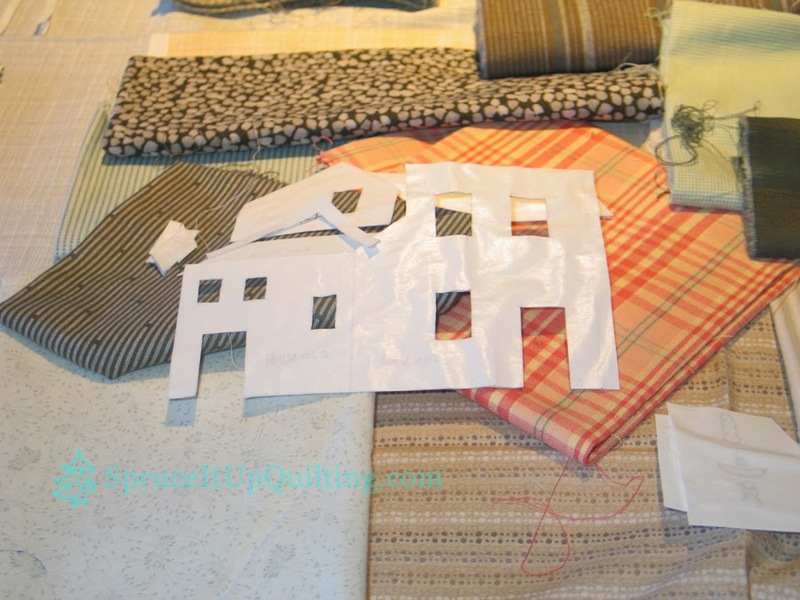 Spruce It Up Quilting: Yoko's House! Those of you who have come to the shop have seen the 4 blocks I've completed from Quiltmania's Quilt Mystère 2012 designed by Yoko Saito. I have blogged about them here too. (check the labels list to the right of the blog and click on Yoko Saito) I love every block of this quilt but time and other circumstances have taken me away from this project! Preparation of the pieces is time-consuming and I wanted to show how I go about it. 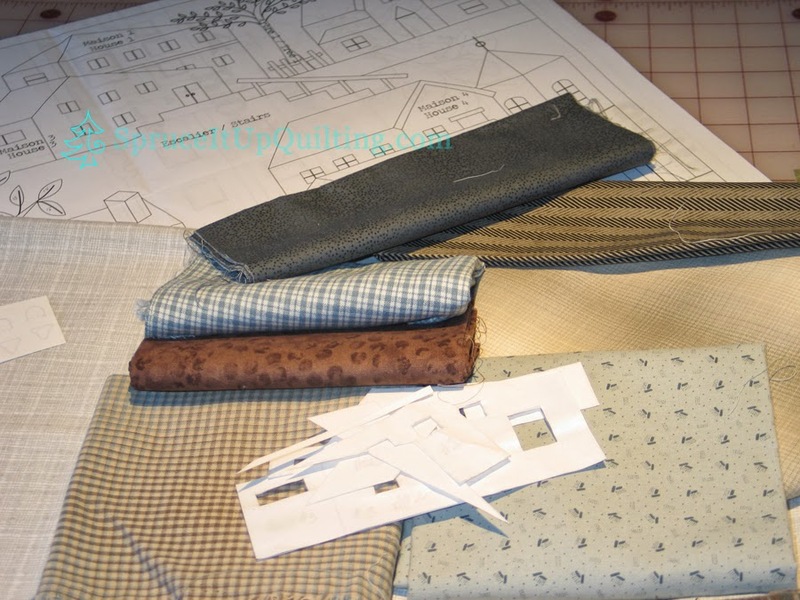 For me, the longest part of recreating the block is choosing the fabric. That's my focus today! 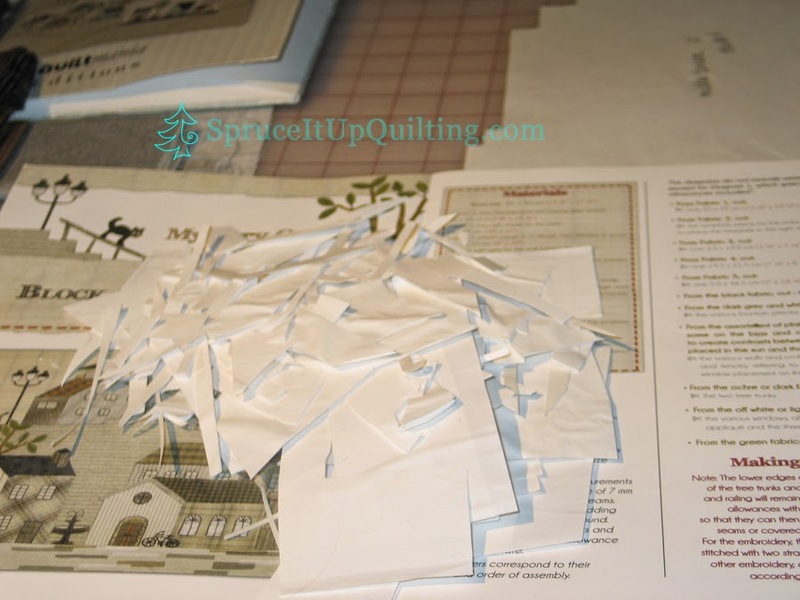 The first step is to trace the pattern on freezer paper and cut out each part. I like to keep each house, tree, church etc separate. 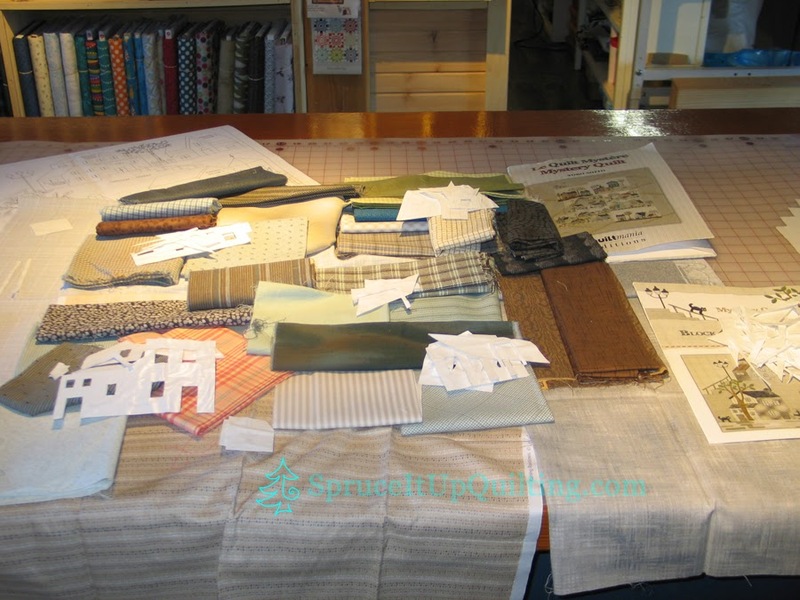 Then I lay out the fabrics I want to use for each building starting with the background fabrics... here you see it as a finished whole with the building templates on top of each pile. 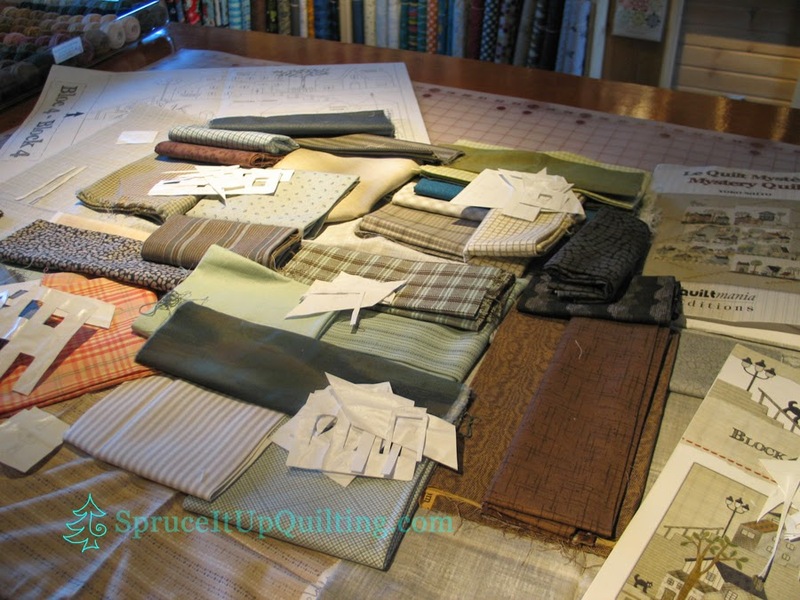 This "playing with fabric" session may take as little as a few minutes for a house to hours of placing and replacing choices all the while looking at the finished blocks that join the one I'm creating. 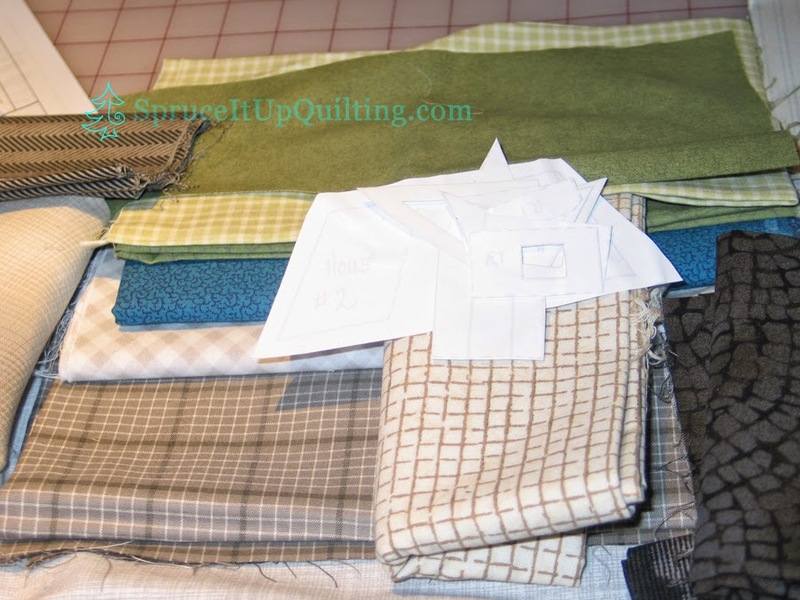 I frequently go to those finished blocks to see what fabrics were used as I have several fabrics that are close in color and pattern. 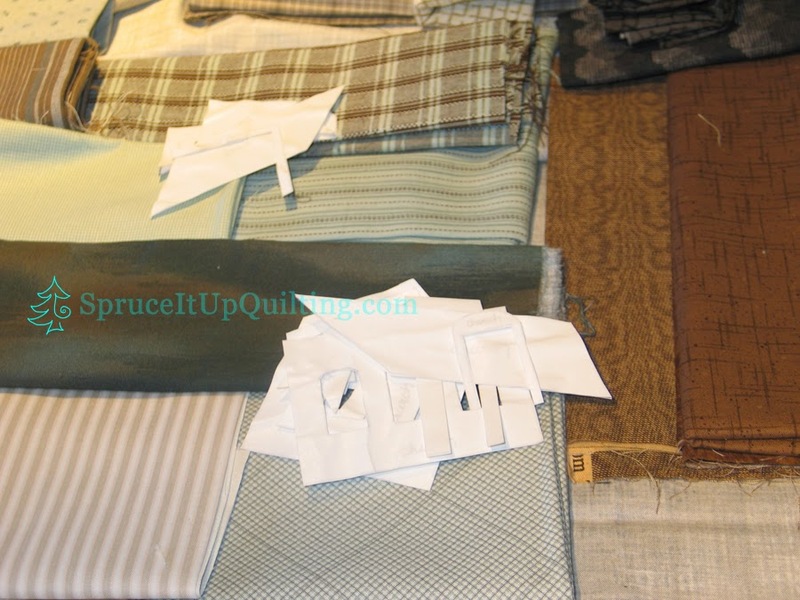 The next step will be to iron the templates to the back of the fabrics and cut them out. I love seeing them take shape... I will spread out the choices again after they are cut out to reassess the color combinations and how they play with each other within the block. Before the work of turning the edges begins, I will bring down the other blocks and lay them beside this one and reassess the fabric choices. 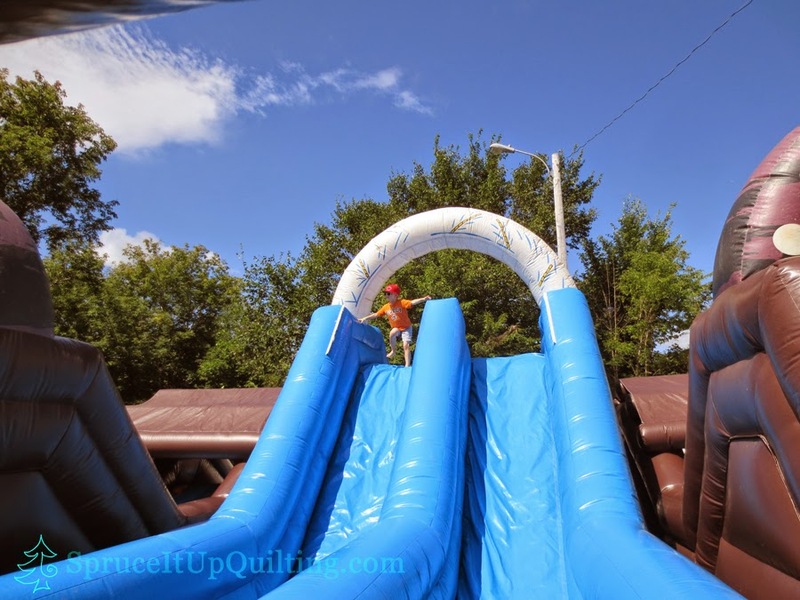 Grand Papa brought him to the County Fair today... What a blast!